I followed the instructions with a test site and everything worked perfectly. But now that I’m trying to move my main site (7+ GB), Duplicator shows error after error related to my hosting. I’m trying to move both to another host and another domain. Any ideas on alternatives to Duplicator? We do not have an alternative recommendation at the moment but if you reach out to the plugin’s support they may have a recommended workaround. any particulars to be aware of? I only want to change hosting. While wanting to keep the same domain. For that we need to build the database on new hosting Or upload the old one. Can i change my dmain name to be with www. But i am planinig to move it to be with www. Both names has almost the same DA, PA and moz rank. I am worry about the rankning in google? I did this successfuly 2 years ago when I changed my business name and domain. As far as SEO goes, do I still need to keep my old site hosted after 2 years? The old site is still redirecting to new site. please let me know, thanks! After two years it normally becomes personal preference on if you should maintain the old site, it is not required. Thank you for creating such an article. I have redirected my 1st website with 301 (Permanent) to the 2nd website. Its been almost 5 months and my second website isn’t at the same Domain Authority. Why not all Domain Authority of my old domain has transferred to my new domain? There are too many possible reasons for a change in domain authority, it could be anything from a Google algorithm change to any other factors. This is really an awesome guide. Just a question. Since the site is relatively new and not much traffic is coming, After the files have been moved to a new domain, instead of redirecting 301, can I just delete the old site? I really need your thoughts on this guys! I did this successfully two years ago because I changed business name and domain, but I have a question regarding my old domain (which is still redirecting to new domain). I did this to keep all SEO from old site. Should I still continue to keep my old site hosted? Or is it safe, after two years, to remove hosting from old site. After 2 years it is normally safe to remove the old site completely. Hi Thanks for sharing this awsome guide. Can i know you that how much it will take time to moving old domain to new domain url in google. And, I have DA PA high of .com domain now i have move on .net some cause of issue. So my old domain DA PA will move on new one i mean on .net.? For the change of address, if both domains are verified then it should take effect once you submit. Following this guide will minimize the effect to your domain authority and page authority but no matter what, if you change your domain you will take a hit even if it is a small hit. Hello, Thankx for helping my all life with each and every WordPress issue. I dont have words to thank for your all efforts to make our life easier with WordPress. I also just changed my domain name with your most helpful step by step guide. I am stuck at one point. To redirect my old urls to my new URLs. Do I need a hosting plan for the old domain?? If you use the method in the article you would want hosting for the old domain for some time. If you check with your hosting provider, some of them have methods to point the old domain to the new one. Good day Wpbegginer, thanks for this insightful article, I have one question though, Am running a WordPress multisite with sub-directories and I wish to change the domain name of the multisite, my confusion is during the migration will my subdirectories be carried along and change to the new domain i.e (newdomain/subdiretory1) or do I need to add them manually all over again, thanks.. I have completed all the steps to move the website to a new domain. The front end works fine: articiles, links, etc. I’ve done a 301 redirect of an entire website from oldsite.com to newsite.com. Can I know delete wordpress and all of the files on the old site? If you have setup redirects using .htaccess file on your old site, then yes you can backup your old WordPress files and then delete them. Intaller.php is not opening after putting mynewdomain.com/installer.php, it’s showing 404 error. But I uploaded installer and package on new domain using FTP. I want to transfer existing domain to new domain on existing host and I register the new domain under my existing host as an addon domain. Try accessing installer with and without www in the URL. 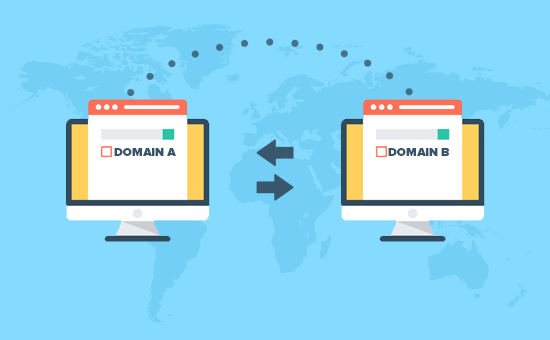 If you want to add a new domain name, then you will need to register the domain name and then add it to your hosting account. Visit the cPanel dashboard and under domains sections you will find the option to add new domain. Hy.. I opened a new domain to improve my blog because I was using wordpress.com. Now I want o ensure that all my post are automatically redirected to my new domain. I have a very successful post and I don’t want to lose my SEO. Its possible to do this in the same way??? Please see our article on how to move from WordPress.com to WordPress.org. Your all tutorials are great. I almost learn full wordpress from webeginner. 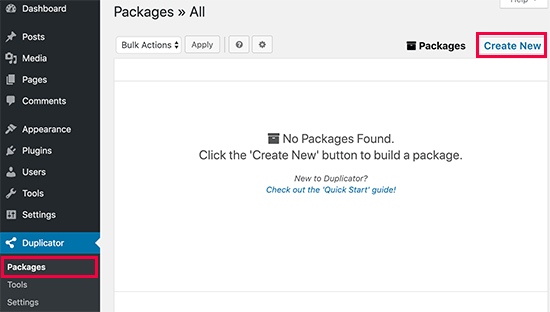 Now, about this tutorial i think you should create a tutorial on All in one migration plugin it is very simple and easy. Sir, i want to ask a question please see this first and answer me ASAP. i read your article/blog thats why i ask this question. I was using a domain and a wordpress site is running on it. last month in may2018 the mistake happen renewal of hosting is done but domain renewal was skipped. and now that domain become approx one lakh rupee domain, which is not in mu budget. so i think when it will skipped by godaddy after redemption period then i will purchase it. Till then i purchased a new domain j”only s added”. and now i want my old site data and its seo all will come on this new domain. You just need to point your new domain name to the folder where your old website files are stored. We are assuming you have added the new domain name on the same hosting account. Go a head and edit your domain settings, contact your hosting provider for support. After that you will have to update URLs in your new WordPress site. When simply changing domain name to current site, does any changes had to be made to nameservers? I also want to follow the same steps but Do I need to buy new hosting? Do I need to delete old site content? How can I access old site .htaccess file? I have been wondering, after all the process and 301 redirects what happens to my old domain? You need to keep the old domain alive as long as possible so that you don’t miss any traffic. However, if you don’t want to, then you can let your old domain expire after at least 6 months. I’m having an issue with Google. When I want to notify the change of address, the 3rd step to verify my website always failed. The weird thing is, if I remove the redirection, the verification goes through (but then the 2nd step where Google checks the redirection fails). In your domain settings there is an option to select the root folder or home directory for that domain. You can use that option and point it to the directory that has your older domain’s files. My website domain name has expired but I have a full backup of it using backup to dropbox. Now can I migrate the previous site to a new domain? If possible then what are the process? Yes you can migrate it to a new domain name. The process actually depends on the backup you have. If you have complete WordPress backup then you can just upload it to your new domain name and then update URLs. I enjoyed the article! I just wondered, what do i do if my new site is still being hosted with wordpress? there is no URL change either. I don’t think i’ll need to do any 301 redirects is that right? However, I am lost as to the steps i should take to move the traffic from A to B, does this depend on the DNS change? Would appreciate any advice! I’m currently stuck at the “sitename.com/installer.php” step. When I put this in the browser (but with my actual domain) I get a 404 error. 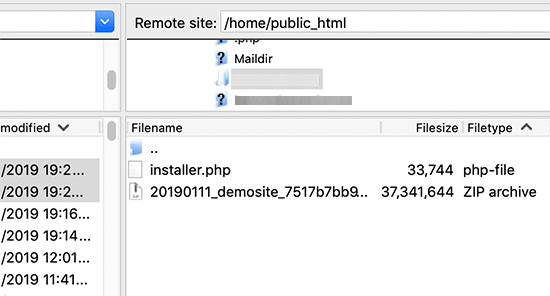 The installer.php file is uploaded to my directory, so in theory it should work? I’ve double checked all the previous steps, and it seems to all be good, so I’m stuck. My first thought is that perhaps the dns nameservers haven’t fully propagated yet, and I’m being impatient. Try accessing your your website with www. Hey guys great article. I actually merged 2 existing sites together and moved all the content from my subdomain site onto my main domain site. my question is, what should I do with the OLD wordpress install (files, database etc) located on the subdomain? Great article! My question is similar but my client already has a new site hosted with blue host. Her old site is a wordpress.com site. She doesn’t need any of the content as she has completely finished the new site. My question is about the redirects from the old site. People still visit there and she’s got good rankings. What’s the best way to redirect the pages (urls) from her old wordpress.com site to her new self hosted site? No content or anything. Just the redirects. Thanks for all your help! You guys are the best!! I have a website with subdomain and I didn’t publish my main domain. when I trying to apply for adsense. it shows that you can’t register with subdomain. 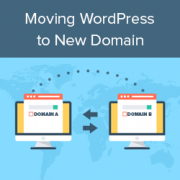 Please see our article on moving WordPress from subdomain to root domain. You will need to create a new Google Analytics, Optimize, and Tag manager profile for the root domain as it is a different domain altogether. Same goes for webmaster tools, however you can inform Google by change of address in the webmaster tools settings for your old subdomain. I had an idea for a website and instead of registering for a domain i just made a subdomain from one of my other sites. The idea has developed into something more now. I want to register a domain name and move everything to it and delete the subdomain. I don’t have that much content, I haven’t started it up yet. I could just delete the subdomain and populate the new domain manually. But I do have the subdomain in google analytics and search console. Would it hurt my new site if I did just delete the subdomain, register a new domain and start from there. If the site was not indexed by search engines or had no significant content, then it is safe to delete it. This article makes sense for how to move an entire domain to a new address, but what would change in this process if I only wanted to move some content from one site to another? I’m working with a client who has a new site being developed (for a large national audience), so that their current site can focus on driving local leads only. I want to know how to get their highest performing blogs on to the new national site without losing the excellent keyword rankings we’ve achieved over the past couple of years on their current site (which is the site moving to the extremely local focus). Any tips and/or guidance would be greatly appreciated, thanks in advance! unfortunately, I deleted all the old domain files including the .htacess file from the server without redirecting.Now I got my new domain and I don’t have my old domain files. could you please tell how can I redirect the users from old to the new domain in this situation? Else my domain will be penalized by Google which looks like duplication as I didn’t redirect. Assuming that you still have the old domain name registered, deleting the file only makes your website unavailable on your old domain. You can simply create a new .htaccess file in the old domain folder to set up redirects. Hi, my current WordPress is in root folder; now I want to create WordPress Network / Multisite with sub-folders. Can I move my current example.com to example.com/subfolder-1 following the above? OR, is there a simple way to do this? I want move a website to another domain however the structure is very different. The old website was created several years and hasn’t even submitted to google webmaster or console as it is now. What would be the best way to go around it. How long do you leave the old site up for? If you delete the old site files (to save backup space) will leave the edited .htaccess file in the old directory, will it continue to forward to the new site? You should keep your old domain for at least 6 months. You can delete any old files via FTP without deleting .htaccess file. I am using a domain abcd.com for my WordPress based website hosted on Bluehost and want to shift to wxyz.com. I have purchased this new domain. What do you mean by “connect to new site”? As far as I read from your website, and FTP client is used to access files on your ‘hosting’ and not ‘domain’. How do I access the root directory of my new domain? I just have the domain name with me. I am not a pro with the website stuff so I contacted my domain provider, they said you can simply change the A name record and nameservers. I am stuck, please help me. Domain names are addresses that point to files hosted on your hosting account. Please see our guide on the difference between domain names and web hosting to learn more. If your new domain is also hosted on Bluehost, then you can go to your domains settings and find out your root folder. It could be any folder inside your website’s root directory. Usually it is named after your domain name. Now how to I access the root folder of my new domain? First you will need to point your GoDaddy domain to Bluehost servers by changing its DNS settings. Next you will need to add your domain name to your Bluehost hosting account. Go to your hosting cPanel dashboard and click on Add Domains. I have a question though: Do I need to keep my old domain like forever? Until when should I wait to finally delete my old domain? We recommend keeping the old domain for at least 6 months. After that you can let it expire. NOTICE: The current version detected was released prior to MySQL 5.5.3 which had a release date of April 8th 2010. WordPress 4.2 included support for utf8mb4 which is only supported in MySQL server 5.5.3+. 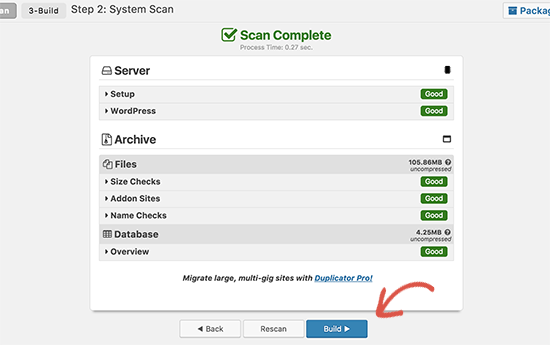 It is highly recommended to upgrade your version of MySQL server on this server to be more compatible with recent releases of WordPress and avoid issues with install errors. Please ask your WordPress hosting provider to upgrade your MySQL version. Everything worked perfectly with the move but what now? How long do you need to keep the old installation and will the redirect still work with just the edited .htaccess in the directory? Very helpful post, thank you. With your help, moving to the new domain was a breeze. Firstly, thank for your great work….i want to migrate my site to a new domain in the same server…the old domain is in the public directory so will the new site be a subdomain or what im confused?? You can point your domain name to any folder inside public_html. For example, you can create a new folder under public_html and name it after your new-domain. Thanks for this awesome content. Please I want to know how long it will take Google to rank the new site as the old site. And also, would all the link juice of the old site be passed to the new site? Because the moment I changed the URL following this all traffic and post ranks drop. Now I’m wondering if it will take position again on search. Please see the step 4. It allows you to tell Google that your website address has changed. The search rankings will start reappearing in sometime. Meanwhile, your 301 redirects will keep sending users to your new website. Thanks for this detailed post. I’m wondering why I need to duplicate the wordpress site. Why can’t I just change the domain for the current site without duplicating it? 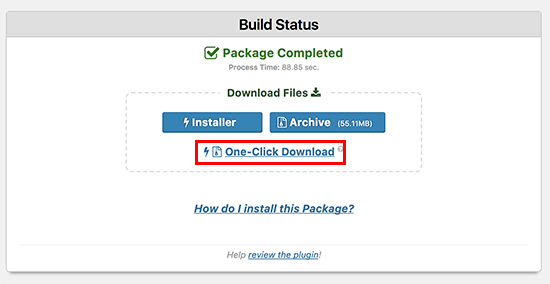 If I create a duplicate wordpress installation, it will exist in a subfolder, which is not ideal, especially for the link structure. Thanks in advance. This method makes sure that your website is available on both locations during the transfer and before setting up permanent redirects. Thanks for your reply. I have another question. 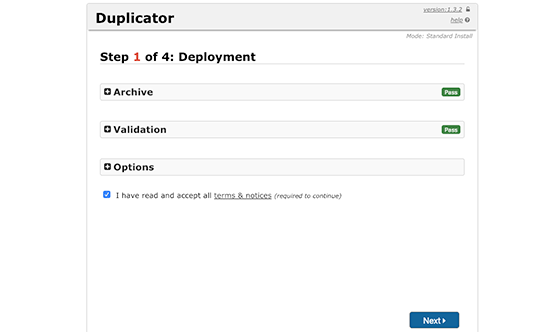 If I use the Duplicator plugin, do I have to first create a database for the new site before I run the duplicator installer? Do you have instructions for doing this? The instructions above indicate that the installer should be put into a folder that is completely empty. That implies that I cannot first use the WordPress installer that comes with BlueHost to install WordPress (and I assume also creates the associated database). Thanks for your help. Yes, you will need to create the database. We will soon update the article with more detailed instructions. 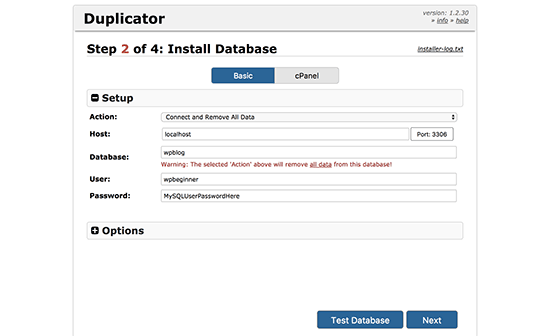 Meanwhile, you can create a new database by visiting your hosting account’s Cpanel dashboard. Look for the databases section and click on MySQL Databases. You will first need to create a new database, after that you will need to create a new database user. Finally, you will need to add your new database user to your database. how to do 302 redirect? If by free domain you mean a domain name like example.wordpress.com, then you cannot have it. However, this does not mean that you cannot move your blog to self hosted WordPress.org (paid hosting). See our guide on how to transfer your blog from WordPress.com to WordPress.org.